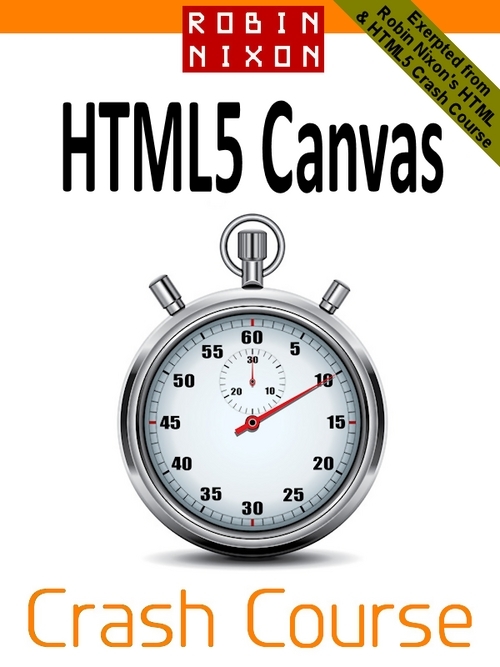 The HTML5 Canvas was created to provide an in-browser alternative to third party plug-ins such as Flash. The reason for this is that Flash has always had drawbacks such as crashing and hogging cycles from the processor, plus it constantly requires updating, and installs differently on different browsers. In addition Apple chose to drop Flash from its iOS operating system, and more recently even Google has dropped it from the Android Chrome browser. But, more than simply replacing Flash, having the canvas feature built into web browsers ensures that it is fully accessible from the rest of a web document, something you cannot say for Flash. This means that interoperability and speed of access remain paramount, and you the web designer retain full control over your web pages. In this course you will learn how to use the canvas to its fullest capability, and once you finish it you'll be proficient in creating your own graphics and animations as and when you need them. Robin Nixon: HTML5 Canvas Crash Course canvas;graphics;html5 198690754 6.99 robinnixon Fresh Download Available!